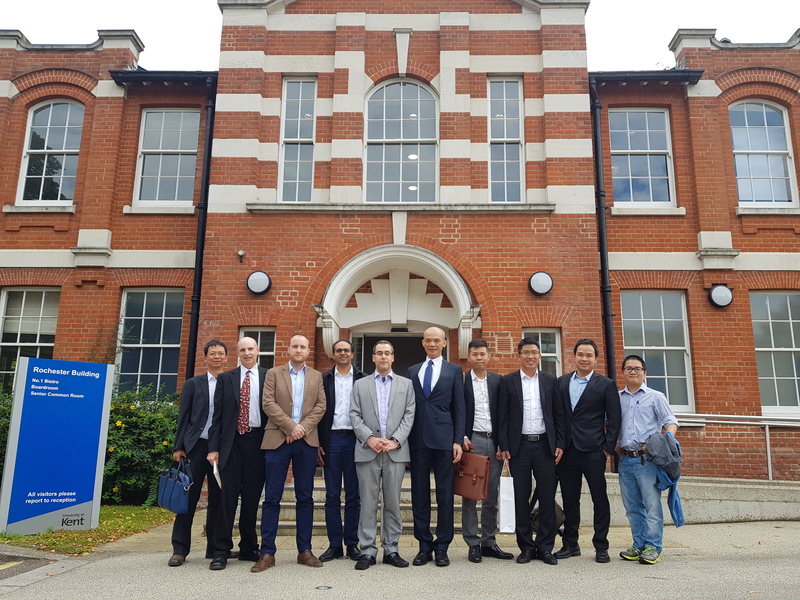 The School of Computing was honoured to receive the CEO, Head of Research and six other visitors from BCS/BIDV bank (Vietnam) on Friday 14 September 2018, and also the CEO of WealthObjects Ltd to discuss potential collaborations in the areas of financial forecasting and financial securities. The School of Computing was represented by Dr Michael Kampouridis, Professor Ian McLoughlin, and PhD student Mr Lam Pham. During the meeting, Dr Kampouridis presented the Data Science group's work on machine learning applications for solving complex financial problems. BCS/BIDV was particularly interested in the group's research on financial forecasting and the presentation was followed by a lengthy discussion on how machine learning can be used for financial forecasting in Vietnam. Mr Hoai Do, the CEO of BCS/BIDV said that they were all "very impressed by the work and that applying machine learning to financial forecasting of Vietnamese securities would be something that would be highly beneficial for BCS/BIDV bank and its customers". The visit came about because the machine learning and AI research undertaken by the Data Science research group in Medway has a strong track record of application to FinTech (financial technology). The team believes that AI for FinTech is a growth research area with significant potential for real-world impact in the future.